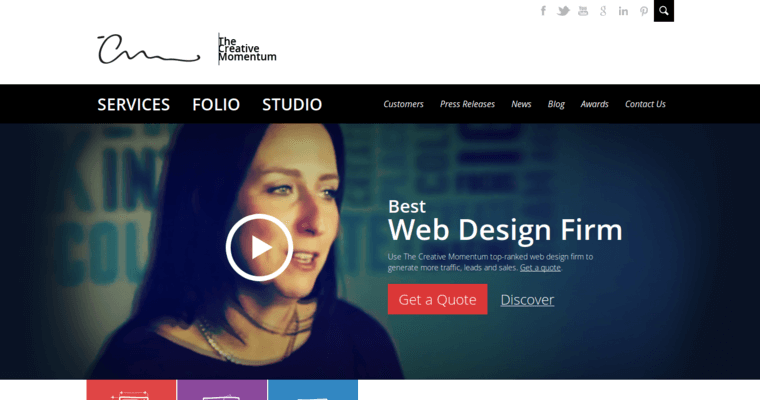 The Creative Momentum is a highly respected producer of customized websites and branding strategies. They’ve consistently provided high quality results to high quality clients, and because of that, they’ve been recognized and awarded many times for their commitment to excellence. 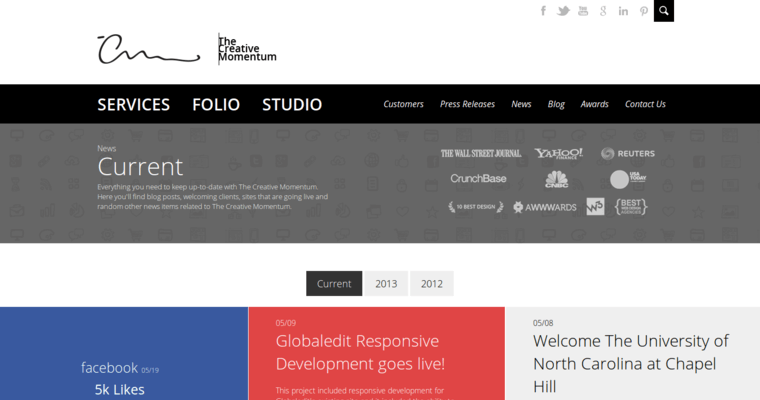 For example, they’ve won the 2013 W3 Gold Award for Best Home Page Design from Atlanta. They’ve held a top-two position on Best Design’s list of Best Web Design Firms for 6 months straight, and they’ve taken home the gold from Horizon Awards for web design as well as many other awards from a variety of different organizations. They don’t simply throw a few lines of code together, as their company is fully equipped to give their clients everything they need when it comes to branding and marketing. They cover website design, user interfaces, mobile browsing, graphic designs, and brand identities. In addition to that, they also offer search engine optimization, advertising, and marketing strategies. 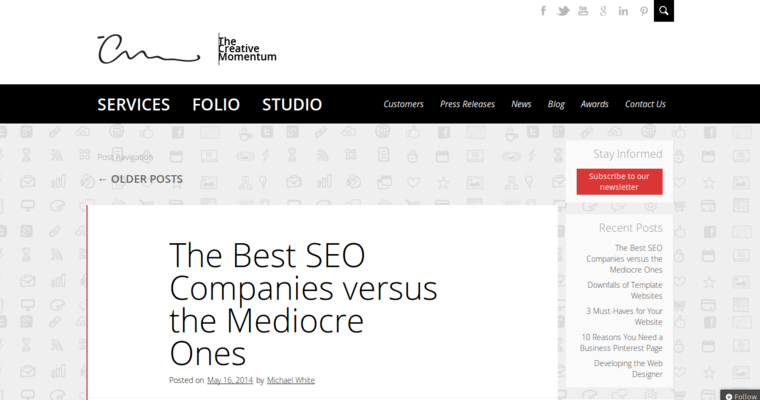 They’re one of the best firms to go to for companies needing to market themselves online.